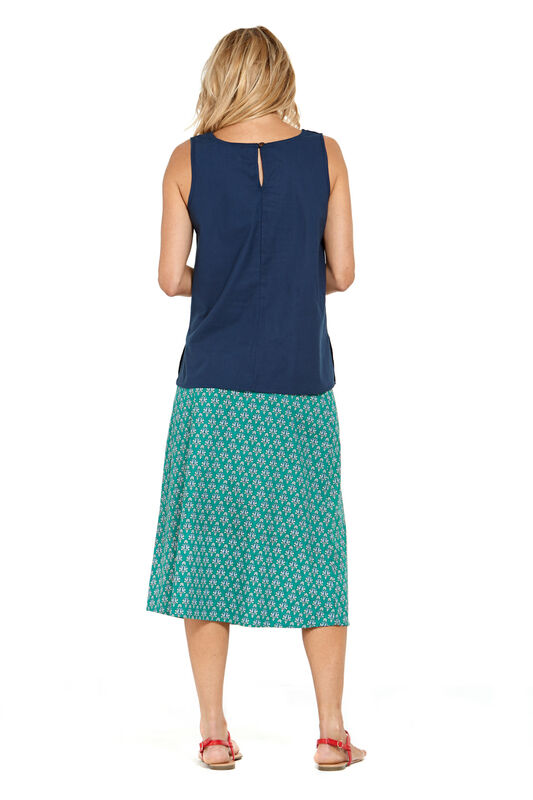 You’ll enjoy comfort and versatility in the Rasaleela New Dita Skirt, made from the finest Indian Cotton . This mid-length wardrobe staple comes in a combination of our Rio & Creation prints - reversible to suit your mood and with a coloured plain stretch Lycra waistband. Simply cut off the garment label to wear on the other side. 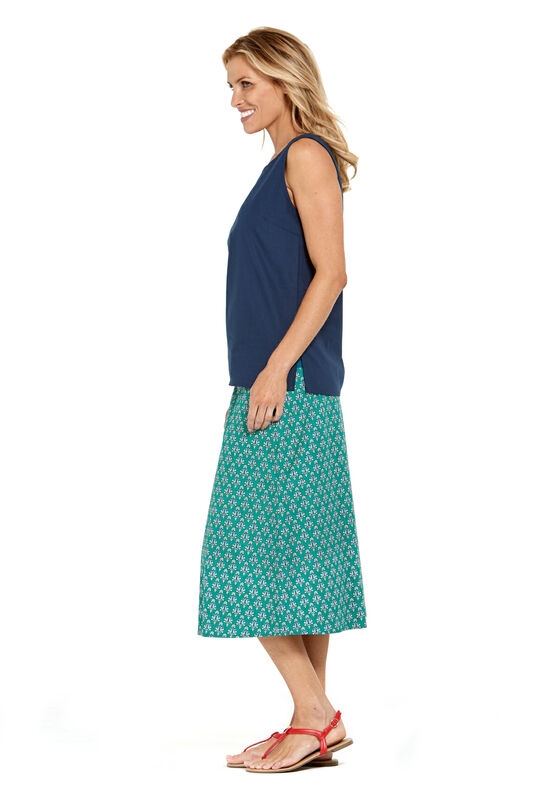 The New Dita skirt can be worn on the waist or with waistband folded and worn lower on hips colour. Great for year round wear – in summer with sandals or flats or in winter with tights or leggings and boots. **** THE NEW DITA IS A SLIGHTLY STRAIGHTER CUT AND LESS VOLUMINOUS VERSION OF OUR GITA SKIRT WITH LESS GATHERS AT THE WAIST FOR A GREAT FIT.